Here you go again, another couple of cracking Tekno models of UK trucks both now available from Speedbird Promotions for pre-order. Get ordering and don’t miss out, they are are both limited editions of 200 models each. 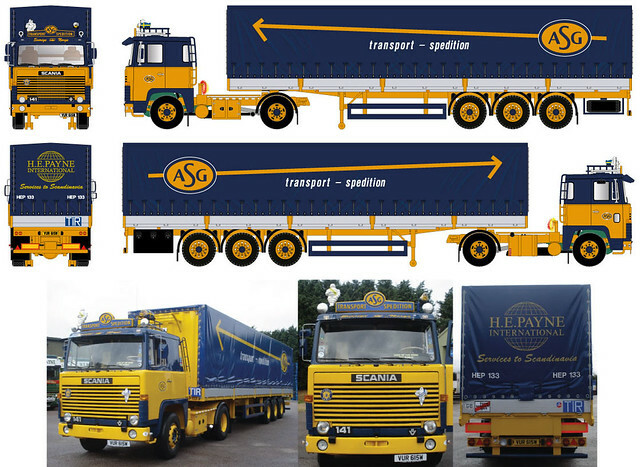 First up we have the excellent HE Payne Scania 141 and tilt trailer in the full ASG Spedition livery. As i can’t afford the real one this will definitely ease my need! 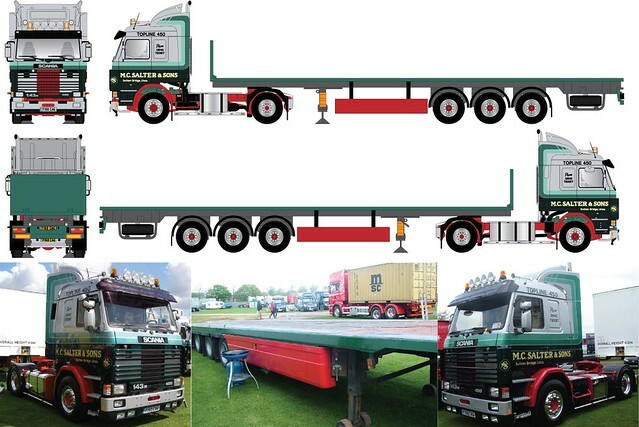 You have probably seen this truck at one of the truck shows or in this months Truck & Driver magazine. The 2nd vehicle for release is this very smart Scania 143 in the livery of Lincolnshire haulier MC Salter & Sons from Sutton Bridge. As far as i understand it, they are your good old fashioned English family haulier. Running a very smart fleet of Scania’s, DAF’s and possbily others, they are having a model made of their F reg 143 450hp beauty. With an empty flat trailer there is plenty of scope to add a load of your own. Details as follows. This entry was posted in DAF, Models, Scania by truckbloguk. Bookmark the permalink.